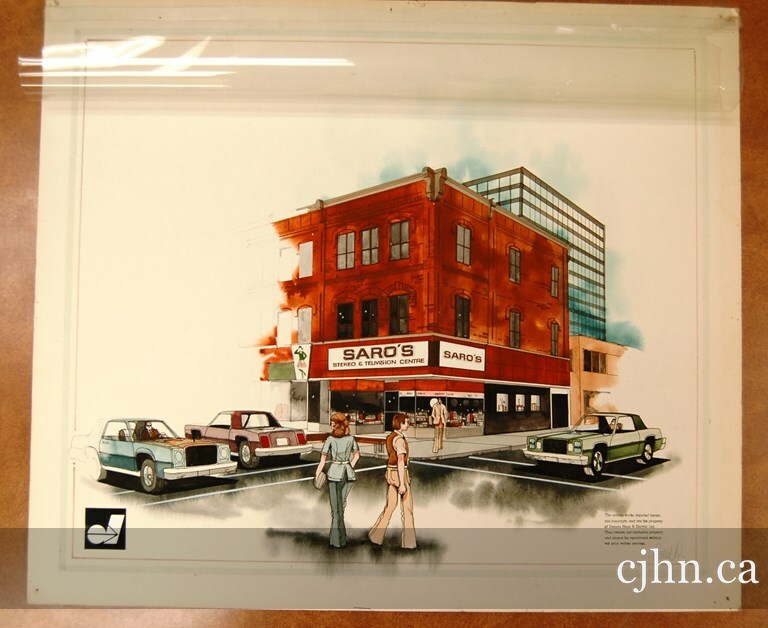 An artist’s rendering of Saro’s, at the corner of Bank and Slater. Source: Ottawa Jewish Archives, Fonds B0020, Item OJA-2-313. Last summer, I wrote a very brief story about the corner of Bank and Slater that mentioned Saro’s Stereo and Television Centre. 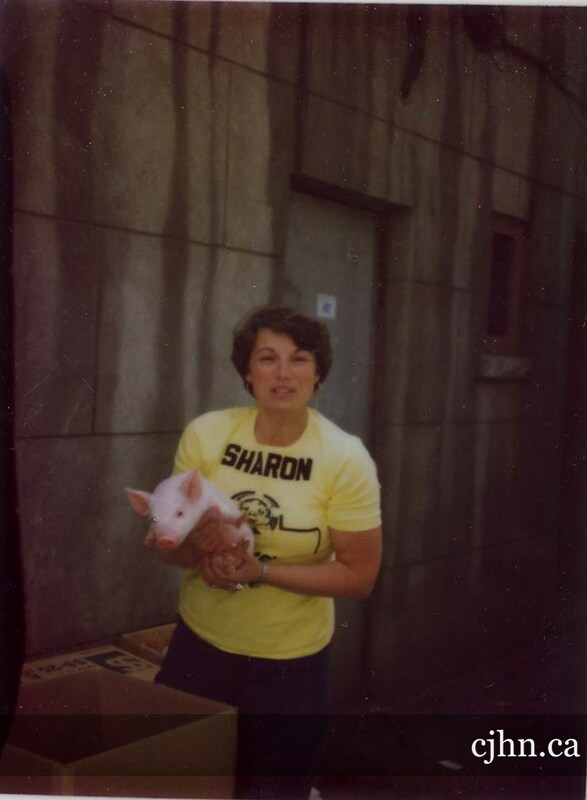 As a bonus, here is a photograph of Sharon Edelson holding a piglet in June 1982. I’d like to think that the arrival of the piglet had more to do with an Ottawa penchant for producing juvenile animals at strange times. As far as piglets are concerned, it’s near perfect. Source: Ottawa Jewish Archives, Fonds B0020, Item 1-803-10.